To include your information in this area, please Email Amy Dallman. Thunder Graphics specializes in a wide variety of custom engraving projects including rubber stamps, trophies, glass/glassware engraving, wood or acrylic engraving, electrical signage, digital printing and vinyl cutting, signage, and presentation or promotional products and gifts. Your design or ours! Laser Engraved Moments specializes in custom plaques, glass, acrylic and wood engravings. The company also offers some of the best awards and recognition products available. Eagle Laser Engraving & Graphics specializes in custom laser engraving including photographs on anodized aluminum, black marble and wood. Custom designs can also be engraved on glass, mirrors, leather, stainless steel, plaques, dog tags, and many other items. Scorpion Ridge Custom Laser Engraving and Trophies is a family-owned business that can make any kind of trophy, plaque, award, name tag, sign or medal that you may need. From basic letters to intricate photo engravings, Scorpion Ridge provides customers with a variety of custom laser engraving services on several types of materials. Az U Wish provides custom awards and personalized gifts. The company specializes in sand carving and laser etching. om laser engraving services on several types of materials. LDS Unique Items provides an immense variety of laser engraved products. .We can engrave on marble, stone, glass, acrylic, wood, leather and much more! Wood Victorian Dollhouse Miniatures specialty boutique that manufactures and sells laser-cut Victorian dollhouse components from the late 19th Century and early 20th Century period. Products include: Spandrels, Room Dividers, Balusters, Gable & Apex Trim, and more. Factory eNova is a public laser engraving and laser cutting studio in Orange County, CA. In addition to providing laser clinics and access to a variety of equipment, Factory eNoval also provide custom laser services! Whether you need a customized gift for that special someone or a prototype for your next business venture, they can help. Since 2004 Laser Engraved Memories has served our online customers with personalized laser engraved products. Our specialty is laser engraved photos for memorial plaques, corporate awards, tribute plaques, wedding gifts, anniversaries and much more. We utilize the latest technology with our Epilog Mini 35-watt laser engraver. Whether you need industrial cutting or marking services, or you're thinking of something unique and different for your home or office decor, with our laser equipment at MLI Laser and years of experience, we can do it all! With our powerful new 120-Watt CO2 laser systems, we can mark, engrave, etch and cut almost anything! Additionally, our experienced in-house design staff is well equipped to handle your graphic, industrial, interior, or architectural design needs. House of Trophies offers custom plaques, trophies and executive gifts. Learn more at www.houseoftrophies.net. Studio eQ is a multi-faceted design studio located in Marina Del Rey, California offering laser-cut business cards, laser-etched metal cards, wedding invitations, portfolios, greeting cards, apparel, device cases and more. AcraPrint is one of Southern California's leading direct-color printing companies, that utilizes the latest technology to provide a wide variety of product decorating solutions to fit the needs of corporate, commercial, and industrial clients, as well as other large organizations. Located in Orange County, California, Blue Ribbon Trophy/LaserWerks is your source for employee recognition products and custom engraving. We combine state-of-the-art equipment, creativity and over 55 years of experience to provide you with products to commemorate those special moments. A&J Engraving provides custom engraving and personalization services on a variety of products. Artistic Woodcrafts specializes in the customization of all wood products, and can also acrylic, fabric, glass, leather, anodized aluminum, cork, rubber, wood veneer, and more. Please contact them for pricing and additional information. Monster Modelworks offers laser cutting and engraving to individuals and businesses. No job too small. MemorableGifts.com offers laser personalized gifts and unique gifts for all occasions. At Memorable Gifts, our goal is to be the most distinctive online gifting service by offering quality products and unparalleled customer service. We take substantial pride in your allowing us to help you celebrate all the significant moments in your life, both personally and professionally, whether big or small. Frederick Engraving offers laser engraved personalized gifts for all occasions. From engraved wine glasses, wood cutting boards, photo frames and signs to custom jewelry, cuff links, knives and wallets, they are sure to have something for everyone on your list. Personalize our in-house designs with your text, or customize with your own image or logo. Come see why so many customers keep returning to Frederick Engraving for all their gift giving needs. In a Flash Laser offers custom laser engraving services on a variety of items such as iPads, cell phones, corporate gifts, tradeshow giveaways, personalized gifts and much more! In a Flash is a small company with big skills, fast turnaround and personal service. Broomfield Custom Service specializes in a variety of services including: CNC machining, 3D printing, wood cutting and surface coatintgs. They can also create custom engraving fixtures to use with your Epilog Laser system. These custom fixtures - available in aluminum, plastic, or foam - fit snugly in your Epilog system and make engraving multiple identical parts easier, with less scrap! Contact Broomfield Custom Service to discuss your custom service needs. Custom Laser Design Inc. specializes in custom laser engraving including photographs on anodized aluminum, black marble and wood. Custom designs can also be engraved on glass, mirrors, leather, chrome, stainless steel, plaques, trophies, dog tags, motorcycle parts, and many other items. Extreme Engraving is a family-owned and operated laser engraving business. They can engrave on all materials from wood and glass to metals and plastics with their Epilog CO2 and Fiber lasers. Extreme Engraving specializes in everything from "one-off" items to industrial engraving services. They also offer sandblasting services that complement their engraved products. Located in Colorado, USA, Cutting Edge Laser Art is a one-stop job shop for all your laser etching and engraving needs. Aluminum, acrylic, hardwood, basswood, leather and mirrors. The company offers an expanding line of wall art and customizable gifts too. Identity Doctor Inc. provides custom medical ID bracelets and other medical jewelry permanently engraved for your safety. Medical identification bracelets are used in times of an emergency. Medical alert necklaces & dogtags are also available. Watt's it Worth Laser Engraving provides professional quality, personalized gifts and custom decorations made with a state-of-the-art laser engraver. Stencil Revolution offers laser cut custom stencils for painting or spray paint jobs. Large and small stencil designs cut fully customized with fast turnaround and shipping. Creative Laser offers a wide variety of custom laser engraving and cutting services. Whether your applications are industrial in nature or more consumer-based, contact us today to discuss your project! MOSO Laser & Craft is a small job shop specializing in personalized engraving, sign making, custom creations, as well as contract engraving for the industry. Light Engraved Inc. specializes in products for the contractor, product developer, hobbyist or individual who wants to customize a product for their customers, business, family, friends or as a personalized keepsake. They accurately and quickly laser engrave or mark your company name, logos, graphics, QR codes and more. At Fire Point Creations We can engrave it, etch, it or cut it to personalize it any way you want it. Specializing in cool personalized gifts for mom, dad, groomsmen, fireman, boy scouts, and all memorable occasions throughout the year. Evergreen Engraving specializes in custom personalized products including gifts, signage and décor. You will find designs and design components perfect for nearly any occasion – both personal and corporate. Our unusual ability to combine engraving and sublimation allows us to create unique and surprising items. We love creating gifts that are remembered long after they are given! Be sure to check our website to browse custom and retail possibilities. MBJD Laser The goal at MBJD Laser is to help customers create unique personlaized gifts at a reasonable price with great service. We laser engrave on wood, acrylic, leather, glass, granite and much more. We have created a wide variety of gifts and absolutely love the one of a kind items! Creative Engraving Designs is a Louisville based full service personalization and promotions company. We offer all types of recognition and customer service awards, perpetual plaques and Louisville specialty gift items on a variety of materials. Quality results with quick turnaround times. Plus, special requests are always welcomed. Classic Engraving provides custom high-quality engraving on glass and acrylic awards, plaques, name badges, signs, wine bottles and glasses, trophies and more. We can cutout special shapes & letters on materials such as plastic & acrylic. CS Industries offers laser marking and laser engraving for the medical, firearms, automotive and promotional industries. MinuteMan Scale Models provides laser cutting and engraving to individuals and businesses. No job too small. Model Railroad related items. Jumbie Industries uses lasers to make custom signs, accessories, awards, furniture, and other fun stuff - all for a good cause! The company donates 10% of their profits to pediatric cancer charities that help families battling cancer. M&G LaserWorks is a full service laser engraving company specializing in personalized gifts and custom laser engraving services to meet personal and commercial needs. With no order minimums, free design assistance and wide-ranging versatility, M&G LaserWorks is confident that they will meet your needs and surpass your expectations. In fact, the company guarantees it or your money back--even after engraving! Enchanted Memories Custom Engraving & Unique Gifts offers the latest in laser, rotary and computer technology to meticulously engrave most anything - including logos, photos and/or text. We can scan, download, receive via email, etc. most any image to create the most precious gift to be treasured forever. Laser Creations is your source for plaques, trophies and engraving of all kinds. We also offer photo engraving. We can engrave or cut an area 36” x 24”. We use materials such as leather, marble, stainless steel, fabric, wood, acrylic, tile, glass, anodized aluminum and much more. We have a rotary that can do glasses, wine bottles, flashlights and insulated mugs. Don’t hesitate to give us a call; we’re here to make your business or ideas a success. Cheadles Art and Signs provides laser cutting and engraving services, signs and an array of custom work. Randall's Engraving is a family owned and operated business that offers a large variety of options in laser engraving. No job is to small or large for us. We will do our best to satisfy our customers to get the product that they want, the way they want it. Precision Electronic Glass is a full-service custom shop specializing in quartz glass, acrylic, and metals. Frankly Design is your source for quality personalized gifts using state-of-the-art laser engraving. Perfect for any gift giving occasion, weddings, or corporate gifts. Nitswell, Inc. is a full service laser engraving / maker studio, specializing in a variety of laser engraving, carpentry and personalization services. We also help businesses and brands of all sizes showcase their individual identities through unique products, displays and signs. nGrave Solutions provides personalized engraving for a wide range of crystal wine glasses, decanters, barware and accessories by popular brands including Waterford, Ravenscroft Crystal and Riedel. Momentous Products provide a life passage symbol that helps people around the world celebrate relationships, life milestones and special occasions. Offering wine boxes and corporate gifts, we use innovative technology to provide the highest level of quality, provide solid customer service, delivery and profitability for our shareholders. Our standards for work environment demand respect, encourage creativity and innovation on all levels. Valmark Products specializes in industrial engraving, machining, and custom laser marking. 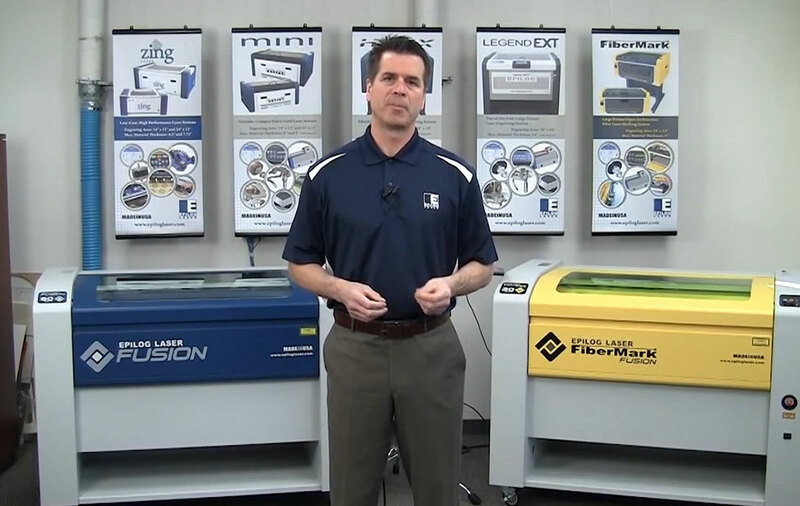 Their Epilog FiberMark laser is capable of producing high resolution images on a variety of materials. Visit www.ValmarkProducts.com to request a quote! Laser Pics and Gifts features a variety of laser-engraved products including: photo plaques, wood wall plaques, birthday gifts, wedding gifts, anniversaries, corporate awards, marketing products, religious gifts, and more. 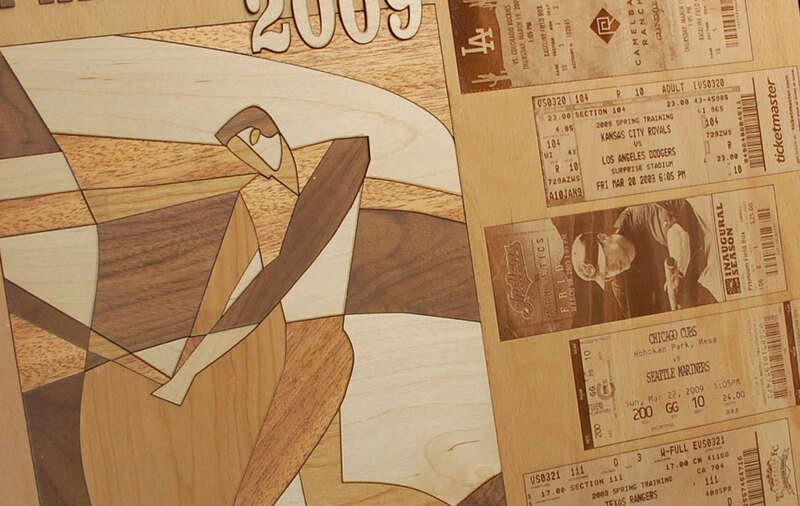 MWB Studios specializes in cutting veneers and custom wood engravings. The company also works with many other engraveable materials. Quick turnaround time and reasonable rates. Laserwerks provides custom laser cutting and engraving of awards, gifts, and promotional products. Laser Pattern Werx creates and sells a variety of different laser project patterns. Visit them today to learn more about new project ideas and patterns you can customize with your laser system! DH Designs offers you professional engraving services with the highest level of quality. We laser engrave the perfect promotional, personal or business item that is customized for each individual. If you can envision it, we can create it. Whether you need to engrave Carpenter 158 steel, 6061-T6 aluminum, stainless steel name plates, or a part fabricated from plastic, American Built Arms Company can provide the necessary services you need to get the job done. American Built Arms Company can engrave or surface mark most metals and many types of plastics, and they provide fast turn around time and service with a smile. Contact them today to discuss your laser marking needs! JNC Designs specializes in Laser Engraving and Cutting services. Services include industrial part marking, plaques, awards, trophies, and large variety of personalized gifts. Carolina Laser, Inc. supplies custom legend plates and engraved labels for electrical contractors, machine builders and general manufacturing. The website features a unique product preview system that allows customers to proof their order in real time. International shipping is available. Artistic Laserss provides the highest quality laser engraved products available to individuals, organizations and businesses. We begin with the finest materials available and add a personalized touch using our extremely accurate CO2 laser systems. Jandy Engraving offers custom laser engraving services and specializes in martial art belt displays, black belt certificates, laser engraved photos, gifts, family trees, etc. Express Laser Service is a hobby company offering custom laser engraving on various products (wood, glass, cork, leather, granite, stones, acrylic, and more.) They can take your favorite photo, invitation, or logo into a unique frame, glass, mug, plaque, bottle stopper, pens, and many more gifts. Outfab is the easiest way to laser cut anything from custom charms and pendants to signs and prototypes. Free 1"x3" sample laser cut projects available for most materials. 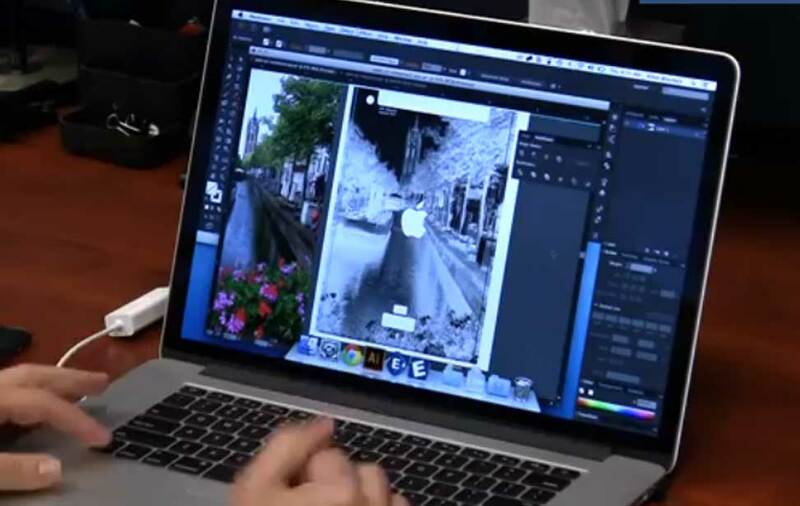 Whether you are an artist or an engineer, there is no simpler way to materialize your ideas. Wood Werx is proud to offer custom and personalized creations. We can laser etch your photo, company logo, name or design on glass, wood, leather, granite, tile, acrylic, and more! Our company's wood and other personalized gifts are perfect for Corporate Client Gifts, Christmas Gifts, Graduation Gifts, and more. You can find us at www.Wood-Werx.com or see more on our Wood-Werx FaceBook page. ES Visions specializes in custom woodworking using laser technology. We offer all the other standard items that can be engraved, just ask and we can provide. Check our custom woodworking section for items that we have created for other customers and give us a call for your own custom needs. Frank's Engraving Service is a full awards dealer, that specializes in laser, rotary and machine engraving services. Frank's has been manufacturing recognition awards since 1976. Anything Engraving At Anything Engraving, we specialize in creating unique, custom wood engravings and our on-site woodworking studio affords us the freedom to produce hand crafted, one-of-a-kind pieces designed and approved by you! Simply upload your design, photo, or artwork and we’ll work with you to realize your vision every step of the way (including proofs on multiple wood types to clearly visualize your concepts during the production process). Laser Works Unlimited, LLC. specializes in awards, trophies, promotional, industrial and specialty engraving. Precise Laser Engraving - Custom engraved plaques, awards, gun stocks, and more! Visit our website to see our full line of custom engraving. From engraved gun stocks to wedding photographs, Precise Laser Engraving can create a great engraving for you! Laser Cutting Inc. is a one-stop resource for all your creative needs. 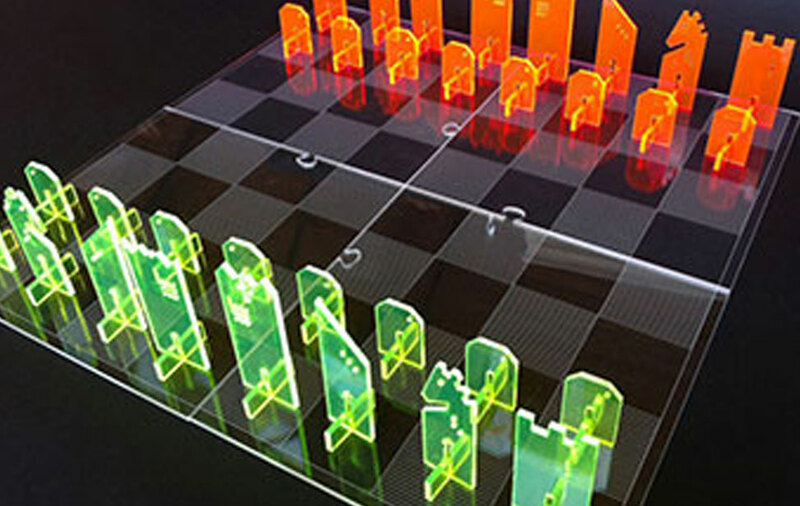 We specialize in precise CNC laser cutting of a wide variety of materials including: acrylic (Plexiglass), PETG, thin polycarbonates (mylar), styrene expanded PVC (Sintra), wood, paper and fabric. Laser Cutting Inc. can accommodate small and large production runs and boasts a fast turn around time. Laser Art USA creates stunning personalized trophies and awards for organizations​ and events, as well as a variety of other custom engraved products. Drew's Up North can tackle all types of customization and personalization projects! 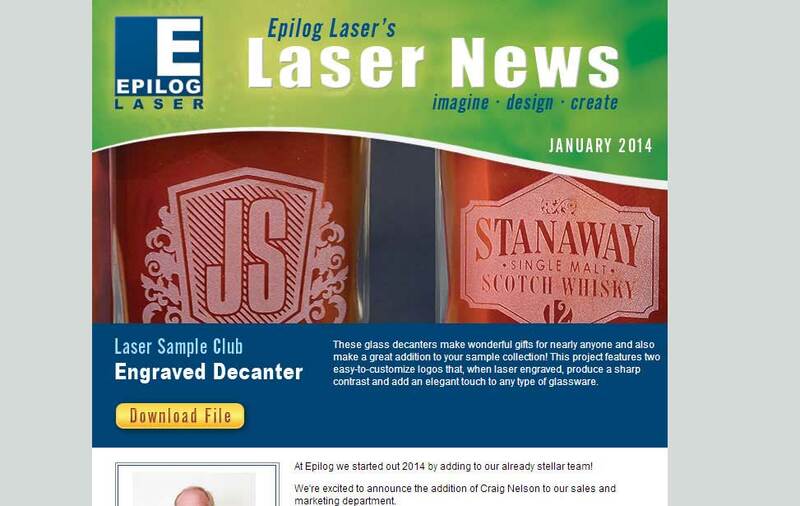 Their versatile Epilog Laser systems allows Drew's to create all kinds of projects - from customized plaques to architectural models to custom glassware and well beyond. Contact them to discuss your laser needs today. Laser Traditions Engraving & Gift One piece or thousands, we are here to help. Our powerful Epilog Fusion M2 40 equipped with the E-view Camera System can handle projects of all sizes. Contact us today to get your project done right! Timber Growers is located in Spring Green, Wisconsin, and specializes in sustainable harvest wood plaques & awards. Signage & Printing Solutions provides custom engravings on wood and metal, plus design services, CNC services, installation and more. Pacific Engravers provides a professional end result and fast turnaround. Their team is made up of professionals who are passionate about engraving and using the latest technology to deliver the best possible result. Hard Wear Promotions carries virtually unlimited numbers of customizable promotional products including pens, gift sets, cooler bags, drinkware, safety products and more. MakeLab provides equipment, staffing and more for your next on-site interactive engraving event. Contact them today to learn more about laser cutter rentals for trade shows, weddings, corporate meetings and other events! Stoneartform, located in the Eastern Township of Quebec, specializes in glass and granite, creating awards and plaques to meet your needs whether for corporate incentives, sports awards or commemorative plaques. Pure Fine Laser can design and personalize corporate gifts, jewelry, identify or brand manufactured parts quickly and efficiently using their state-of-the-art lasers. 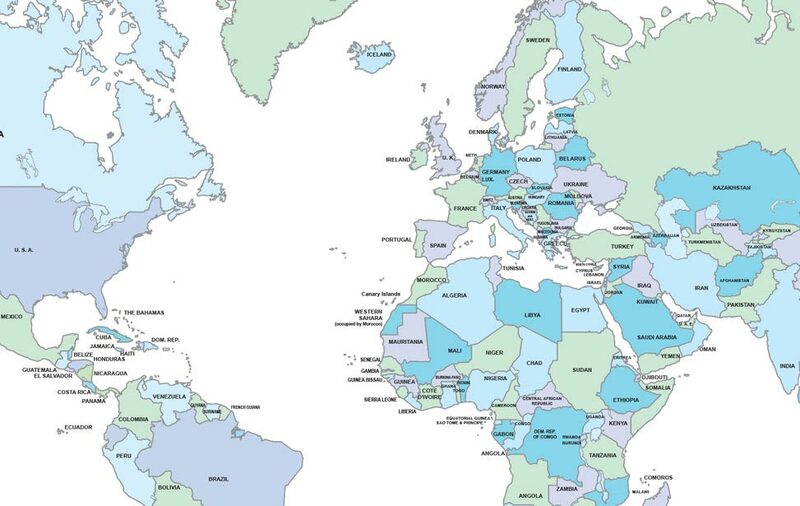 Their clients include large national suppliers with personalization runs in the thousands to one-off bespoke pieces. As the saying goes, Pure Fine Laser is big enough to cope and small enough to care. Alpha Trophies specializes in engraving prestigious custom plaques, decanters, wine glasses, personalized clocks, name badges, awards and trophies in crystal, wood, acrylic and glass all individually hand finished. Items can be engraved with your club badge, heraldic crest, clan, coat of arms or corporate logo or photo. Laser engraving is especially effective on anodized brass. Laser-Eng is UK's biggest sub-contract CNC laser cutting company that offers laser metal cutting, laser tube Cutting with full fabrication facilities. They utilize laser cutting tools using 4 Laser cutting machines enabling them to cut up to 25mm thick, 4m x 2m bed size, in Stainless and Mild Steel and up to 15mm thick in Aluminum. CLC Creative provides a popular laser cutting and engraving services in London designed specifically for the needs of creative industries and individuals. We pride ourselves on using only Epilog lasers. Laser cutting and laser engraving services in London. Laserbean can provide a wide range of services, from using your pre-created digital files to cut or engrave, through to a full expert consultancy and design process. mekkit.com offers professional laser cutting, 3D printing and design service from their location in Central Manchester’s Northern Quarter. No job is too big or too small –mekkit.com can handle one-off prototyping jobs to mass production of point of sale inserts. Gen-Fab Ltd is a UK-based laser cutting company that specializes in cutting a wide range of materials. Charles Day Ltd specializes in profile cutting with laser, flame, waterjet and HD plasma systems. The Laser Cutting Co. Ltd. The Laser Cutting Co Ltd was established in 1981 and provides a customer focused sub contract laser cutting service delivering tubular, open sections and flat metal parts on a daily basis to customers throughout the UK. See the results in person by getting a free brochure with laser cut and engraved samples! Get monthly news, projects, & more! 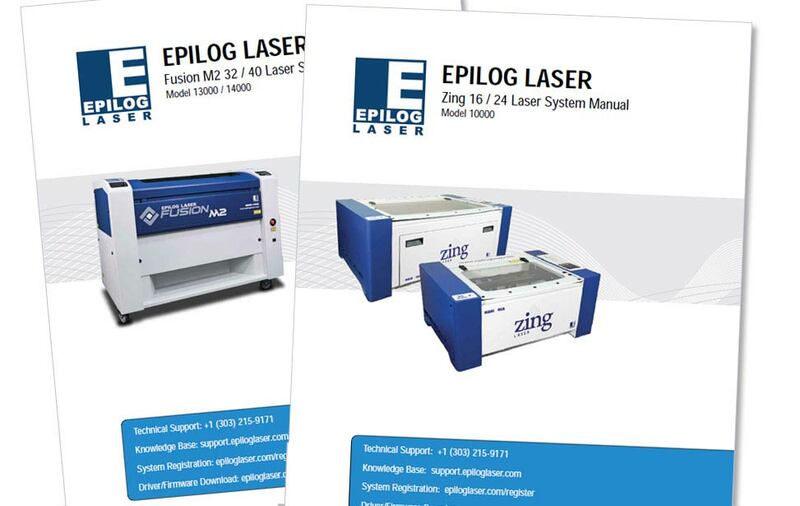 Epilog Laser manufactures the world's leading laser engraving and cutting systems, proudly made in the USA. Laser Cutting - nothing compares to the quality of a laser cut on many materials. Laser Marking - how can you affordably mark metal parts with barcodes and logos?